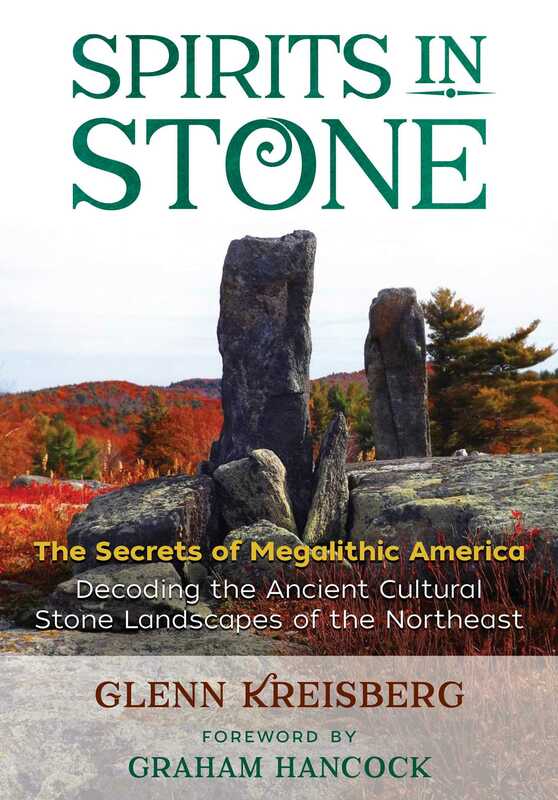 In Putnam County, New York, there are hundreds of mysterious stone chambers. These megalithic structures have entrances aligned to the winter solstice sunrise, and many are said to resemble an eye and to have a Celtic/Monastic influence. Many hundreds of such chambers exist in the Dutchess, Putnam, and Westchester county region of the Hudson Valley. Official explanations for the chambers range from colonial root cellars to ice houses or livestock pens. And, true enough, some or all may have been used for such purposes over the course of their existence. But it is interesting to note that nearly all early colonial land deeds and surveys include descriptions and references to these preexisting constructions. If this construction is not originally from the colonial period, then the story becomes more intriguing. Because of their mysterious nature, the stone chambers of the Hudson Valley have been the subject of investigation by a number of researchers over many years. Through the research of authors John Burke and Phillip Imbrogno it has been discovered that many chamber sites are associated with electromagnetic hotspots or are located in areas that show an increase or spike in the power density of the earth’s electromagnetic field strength. Burke’s groundbreaking work shows that a control group of maze seed placed in indigenously or traditionally identified electromagnetic “hot spots,” including Native American chamber locations, produced far more robust yields than “unexposed” control seed groups left in his lab. One can’t help wonder how these electromagnetic hot spots were originally identified by the chamber and mound builders. Was it an act of divination? Were “sensitive” individuals employed to locate energy sources (think spirits) through divination or dowsing? . . .
Another theory suggests that those who built and used some of these structures were purposefully trying to manifest good energy by stripping negative ions from hydrogen electrons in water molecules? This process is known to occur by the act of water running over the surface of certain stones (bluestone for instance) and through constrictions in rock, natural or manmade. Releasing negative ions, which tend to rise to the highest place on the landscape, is known to assist in attaining and enhancing a heightened or enlightened mental state. Concerning the EM hot spots, it is interesting to speculate: Do ley lines or unseen energy meridians connect such locations, creating an earth grid or energy pattern across the earth’s surface? Can the energy be focused or directed by construction of a particular configuration or ifbuilt of specific, energy conducting materials? Does the shape of mounds, standing stones, or henges help direct the flow of this energy field and account for certain architectural designs and configurations at ancient sites? Does this help account for Feng Shui and similar principles from the East? Is this the geomagnetic energy field that birds and butterflies tune into in order to navigate while migrating great distances? No one claims to know for sure but in my article “Electromagnetism and the Ancients” I state that electromagnetism is the single common denominator of everything in nature, of everything that exists in the universe. And that perhaps the EM spectrum--that naturally occurring, continuous band of energy ordered and organized by frequency and wavelength--is the single medium on which all of existence is recorded. It becomes even more intriguing when we note that many megalithic sacred sites such as Stonehenge, Avebury, Callanish, and many others have long stone rows and circles in which, it’s recently been determined, the magnetic polarity of each set of standing stones--its north/south axis, if you will--is lined up in the same direction. The result would be a configuration that would accelerate energy particles (protons, electrons, etc.) along its path, not unlike a modern high-tech particle accelerator. The LHC (Large Hadron Collider) in Switzerland is one example. This new super collider is searching to solve the greatest questions in physics--the energy/matter transfer question--by locating the so-called “God Particle.” Just like today, ancient people must have wondered what the folks building these structures were trying to accomplish. Were they attempting to release the Earth’s own energy, to tap into the innate energy field of our living planet, of our living universe, to access its beneficial properties? Maybe these stone chambers served multiple purposes. Certainly they provided shelter from the extreme cold of winter. But perhaps they were also an astronomical observatory by which the dates of the solstices and equinox were determined and monitored. It seems only logical that a structure used only a few days of the year for astronomical purposes would serve multiple practical purposes at other times, for storage, shelter, and perhaps a place where crop seeds could be treated, blessed by the powers of the unseen world, in a way that produced increased crop yields. Ever since sites like these were discovered there has been an unresolved debate for archaeologists and the general public alike regarding their function and purpose. The three main theories regarding the cairns’ origins or purpose are that they may be part of land surveying or subdivisions; that they are a part of agriculture-related land clearing for farming or grazing; or that that they are some sort of symbolic monument. There are, however, flaws within the land surveying and agriculture theories, and to claim that they are symbolic monuments seems too much of a default solution. As a real reason for them has yet to be given, we will look beyond any single site to show that many are inherently aligned to celestial events and geographical elements,and that the ancient Neolithic builders may have used these sites as a link or connection between them, their home, village or territory, and the powers and motions of the universe.